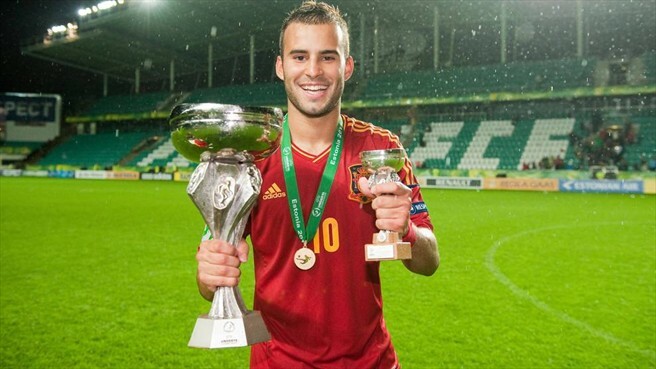 Jese Rodriguez finished third in the Golden Boot Award at the 2013 FIFA U20 World Cup. Real Madrid have tied down Jese Rodriguez until 2017 as the striker signed a new three-year deal with Carlo Ancelotti’s men. Rodriguez is a prolific scorer. He finished top scorer in the 2012 European Under 19 Championship, top of the scoring charts again in Segunda last season with Real Madrid Castilla and also put in an impressive performance with Spain at the Under 20 World Cup this summer, in which many believe he would have finished top scorer if Spain had gone further in the competition. He made his senior debut in 2011 and is expected to make the step up this season to be a regular in the senior team. Gonzalo Higuain’s move to Napoli has made space for Rodriguez to cement a position in the first team, but faces obvious competition from Madrid’s wealth of attacking player such as Cristiano Ronaldo and Karim Benzema.